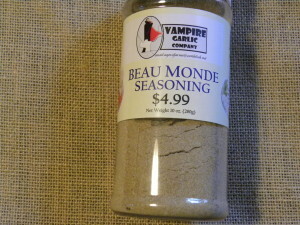 Beau Monde is a delectable blend of onion, celery seed, white pepper, salt, nutmeg, and allspice. It is a great seasoning for fish, roasts, poultry, vegetable dishes, and dips. Use it to spruce up macaroni or potato salad, sprinkle it over deviled eggs, or add it to salad dressings for a unique flavor. GLUTEN FREE, NO MSG, NO SODIUM, NO SUGAR.